With the incorporation of the South African Museum Herbarium (SAM) in 1957 and the Government Herbarium, Stellenbosch (STE) in 1996, the Compton Herbarium has become the second largest herbarium in southern Africa. The overarching research programme at the Compton Herbarium is to document the plant diversity of the Greater Cape Floristic Region (GCFR). compilation of checklists and databasing accessions. Many of these studies are conducted in collaboration with local and foreign scientists. Although several plant groups in the GCFR are well-documented, many are poorly understood and in need of detailed taxonomic study. Scientists at the Compton Herbarium have played and continue to play an important role in the documentation of the plants of the GCFR since the herbarium was founded in 1925. In addition to their research activities, the scientific staff curate the collections and provide several service functions, mainly in the form of plant identifications. The specimens are currently arranged following the Englerian system, with some amendments to reflect recent phylogenetic classifications. The collection houses approximately 750 000 specimens covering mainly the winter rainfall region of southern Africa, but there are also many valuable specimens from around the world in the South African Museum (SAM) collection. For historical reasons the SAM collections, the oldest in the country, are kept and managed separately from the general herbarium. The collections consist of lycophytes, pteridophytes, gymnosperms and angiosperms only. The marine algal collections were donated to the University of Natal, Pietermaritzburg (NU), the fungi to the National Mycological Herbarium in Pretoria (PREM) and the lichens and bryophytes to the National Herbarium in Pretoria (PRE). Approximately 13% of the herbarium holdings are recorded in the Pretoria Computerised Information System (PRECIS) database, but there is a continuous endeavour to database and barcode the entire collection. The Compton Herbarium participates in a loan programme with herbaria listed in the Index Herbarium (IH). Specimens are loaned for the purpose of taxonomic research. The Compton Herbarium is located in the Kirstenbosch Research Centre at the Kirstenbosch National Botanical Garden in Rhodes Avenue, Newlands, Cape Town. 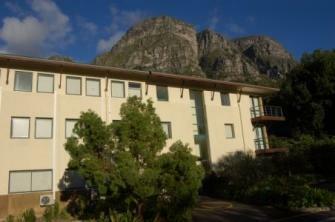 The building is situated on the eastern slopes of Table Mountain, just below patches of fine afromontane forest. Together with the mountain it provides an impressive backdrop. The Compton Herbarium staff are involved in contributing to the following regional Floras. The Compton Herbarium staff comprises scientific, technical, curatorial and administrative support staff. 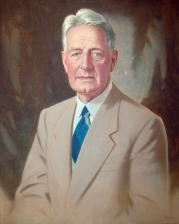 The Herbarium was founded in 1937 by Prof R.H. Compton, the second director of the National Botanical Gardens. With the incorporation of the South African Museum Herbarium (SAM) in 1957 and the Government Herbarium, Stellenbosch (STE) in 1996, the Compton Herbarium has become the second largest herbarium in southern Africa. The South African Museum Herbarium (SAM), the oldest in Africa and one of the oldest in the southern hemisphere, originated when the visiting German collector, C.F. Ecklon, deposited 325 of his specimens in the museum in 1825. When the museum was reconstituted in 1855, Dr C.W.L. Pappe took charge of the herbarium and he is considered to be its founder. He was appointed as the first Colonial Botanist in 1858. On his death in 1863, his private collection, which included Carl Zeyher’s main herbarium, was bought for the Cape Government Herbarium, which was housed in the same room as the Museum Herbarium in the Museum. Under Prof Peter MacOwan, as Colonial Botanist, the two collections gradually became merged and increased considerably in size. In 1910 the Cape Government ceded the so-called ‘Cape Government Herbarium’ to the Museum. It was housed from 1956 with the Compton Herbarium at Kirstenbosch and was finally donated by the Trustees of the South African Museum to the National Botanical Institute in 1988. The Stellenbosch Herbarium (STE) was founded in 1902 by Dr A. Vera Duthie on her appointment to the Victoria College (now the University of Stellenbosch). Due to a lack of funds the University Council decided to hand the general herbarium over to the State and in 1960 it became known as the Government Herbarium/Staatsherbarium, Stellenbosch. The smaller District Herbarium was retained by the University (STEU). With the amalgamation of the State’s botanical interests in 1989, it became part of the newly formed National Botanical Institute, but the merging of the STE and NBG collections only became possible when the current herbarium building was occupied in April 1996.